Hi, you are looking to buy a tub of1000 UKARMS 6mm. 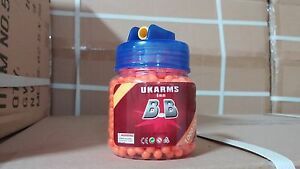 12g Airsoft Gun BB's. Color: Orange , for BB pistols, rifles, sniper rifles, and shotguns.